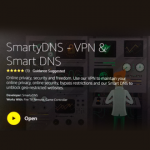 We have some amazing news for all our VPN app users out there! 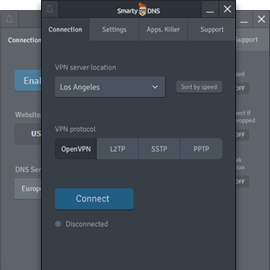 We’re happy to announce that we have updated the SmartyDNS Windows and macOS VPN apps to the latest and most secure OpenVPN 2.4.2 version. Through the OpenVPN protocol, we ensure a high degree of security on all devices for the best online experiences. 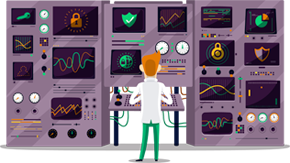 OpenVPN was recently audited by The Open Source Technology Improvement Fund (OSTIF). Following this procedure, some minor security vulnerabilities were revealed and quickly fixed. “A formal audit is very important for open source projects because it assures users that the software they are using is reviewed by an impartial third party, and that no hidden backdoors or vulnerabilities are being hidden by the authors,”. Gary McCloud, Vice President of Business Development at OpenVPN Inc. The primary findings were two remote denial-of-service vulnerabilities. In short, the denial of service vulnerability is a weakness in the software that allows malicious third parties to disable your service and make it impossible for legitimate users to use the software properly. According to the same press release, the denial of service vulnerabilities found have been fixed in OpenVPN 2.4.2 and 2.3.15 released on May 11, 2017. The two released updates include a latest version for new users and new repairs for the older version that many users still depend on. Also, it’s important to bear in mind that fixing these minor errors does not mean that users of older OpenVPN versions were exposed to any threats. 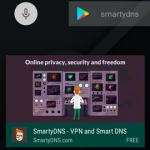 The SmartyDNS team is always working behind the scenes in order to create and improve the user experiences. Implementing the latest updates means offering the best, most secure and restriction-free services for all our clients, regardless of their location.